Mighty Arthur is a new pokie experience from the developers at Quickspin. It takes its inspiration from the legendary tale of King Arthur, his Queen Guinevere and their trusted court wizard Merlin. Most of the action takes place against a forested backdrop while smooth animations play out on the reels. Mighty Arthur features the standard 20 payline, 5 reel design of most modern pokies, but it does feature a maximum wager limit of 100 which is quite high. Quickspin has made the house edge a little over 3% and added a suitably epic soundtrack to the proceedings to keep players engaged. The reel symbols include the main characters of Arthur, Guinevere and Merlin along with a knight’s helmet, the Holy Grail, Merlin’s spell book and a wild symbol. The payouts on the slot symbols are not as high as many other slot titles which may put off some players. The bonus features are really what makes Mighty Arthur and its all thanks to the extensive use of wild symbols. Arthur and Merlin are the main sources of random bonuses in Mighty Arthur. Merlin the Wizard will appear randomly and extend across multiple reels in a single row. He will then additionally make up to 6 other reel icons wild. If Merlin appears only partially he will still count as a standard wild symbol. 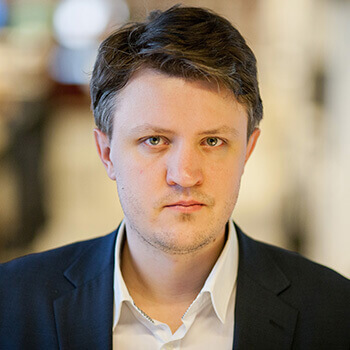 Arthur serves as an expanding wild if he appears on reel 3. He covers an entire reel but expands further to covers reels 2 and 4 as well. Just as with Merlin, if Arthur appears only partially he will still act as a standard wild symbol. The final Mighty Arthur bonus feature is the Free Spins game. Here players can win up to 10 free spins. The golden crown bonus symbol is the key to unlocking this feature. This crown is a scatter symbol so you only need to land 3 or more anywhere on the reels to trigger the feature. Players can also retrigger the Free Spins bonus of three more golden coin scatters land on the reels during the Free Spins round. Mighty Arthur is another solid title from Quickspin. While the payouts may seem very low compared to other pokies, it’s the extensive use of wilds that really makes this pokie rewarding in the long run. 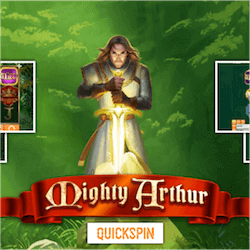 Mighty Arthur is live now at Quickspin supported casinos.